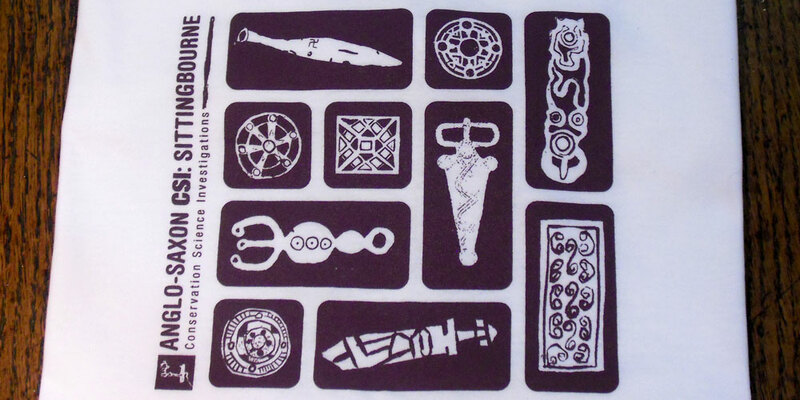 This latest print for Sittingbourne-based archaeology and ancient material conservation outfit CSI:Sittingbourne was designed by Rob Broomfield and features a beautiful illustration of an Anglo-Saxon warrior. The print is a black half-tone on grey Gildan stock and is available from the CSI:Sittingbourne shop at the Forum Shopping Centre or by ordering direct from Bourne Creative. 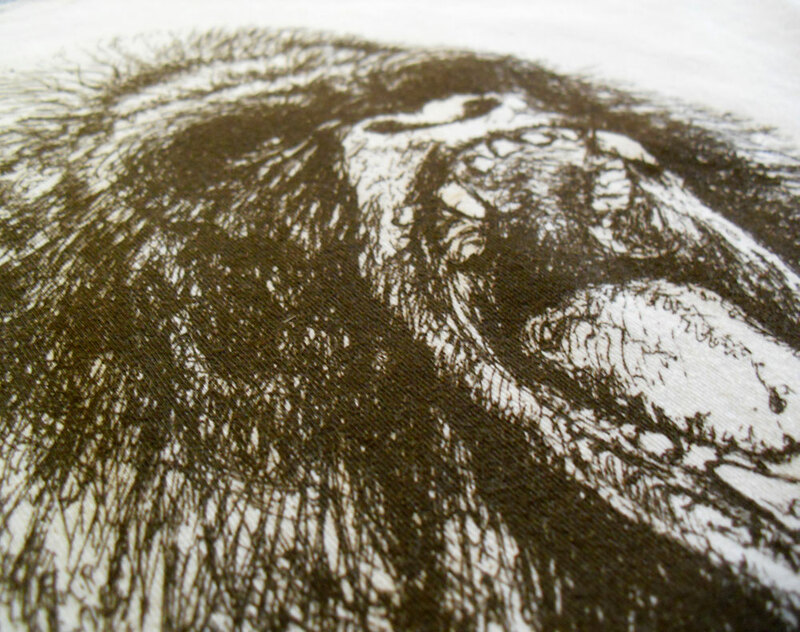 Bourne Creative was excited recently to print tee-shirts for up & coming Kent band Story Books. 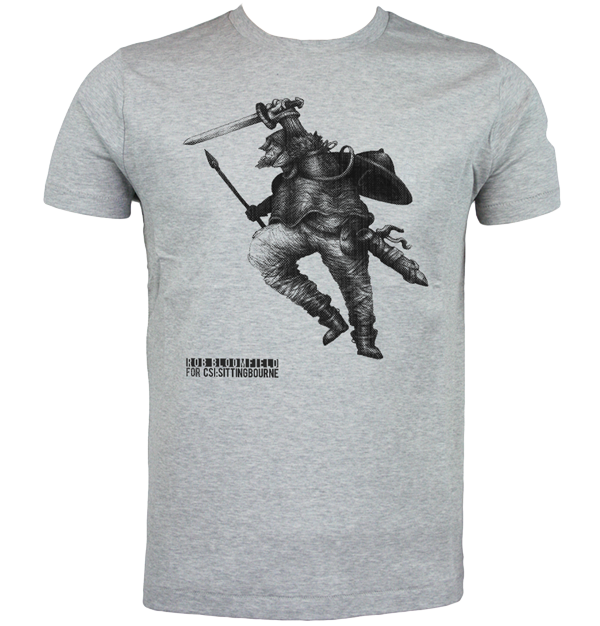 The illustration is recreated using a half-tone and is printed with a matte look plastisol ink. The tee-shirts are Contintental N03 tees in melange grey. 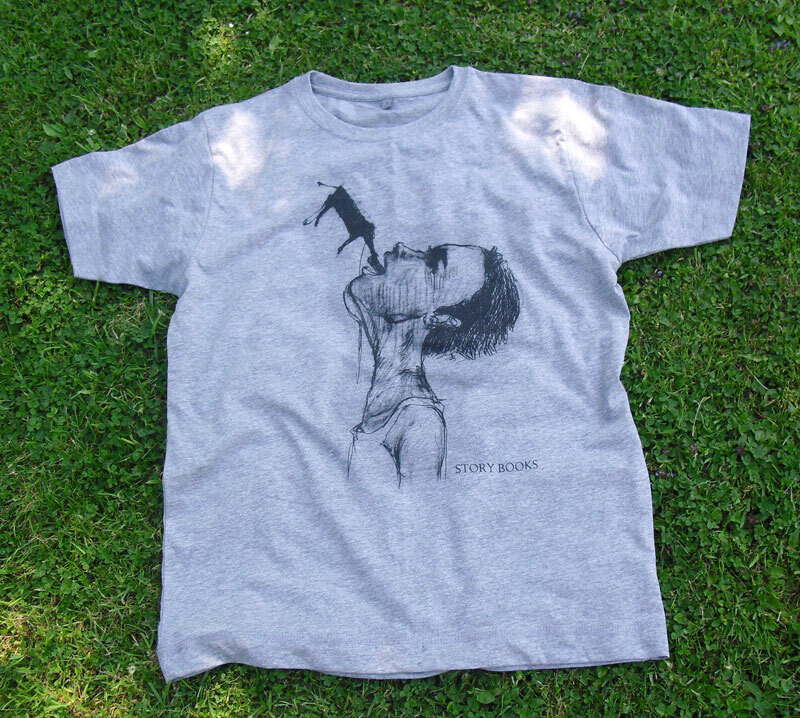 You can buy the tee from the Story Books website or from the big cartel page. Please listen to their music too, they’re very good you know! 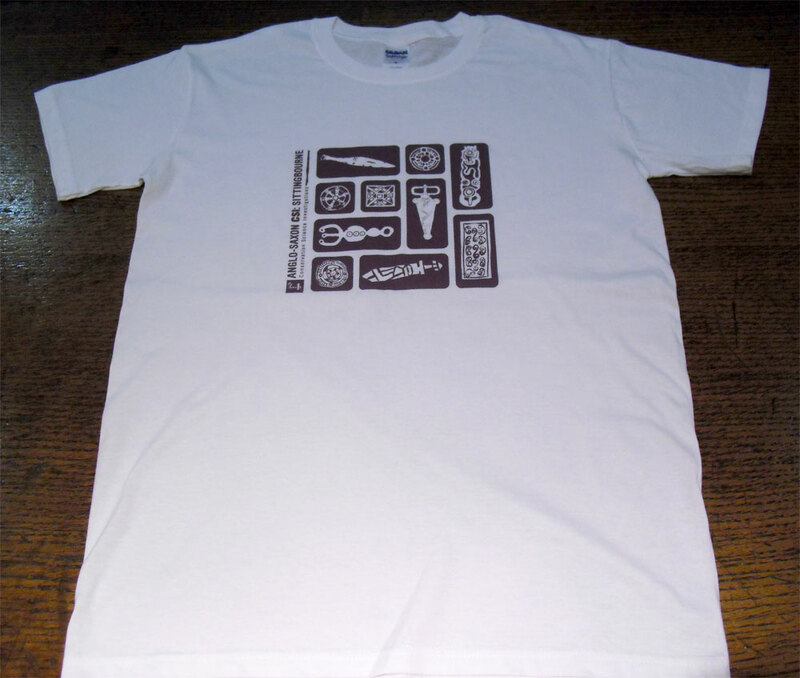 A tee designed by Bourne Creative for Sittingbourne’s very own Anglo Saxon Conservation Science Investigations. Example is 1 colour plastisol print on Gildan soft-style tees. This tee is available to purchase from Bourne Creative for £15.00 + p&p by getting in contact. 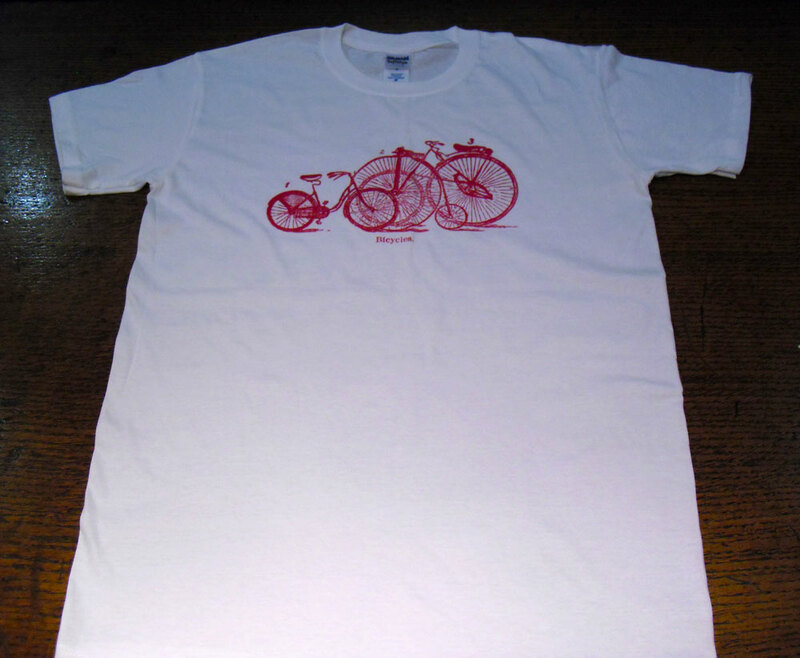 As an eco-friendly alternative we will also print on an existing teeshirt for you for £10! A percentage of all profits go towards AMTeC Co-op and their ongoing work in the field of ancient materials, technology and conservation. New tee by Bourne Creative – available now! 1 colour plastisol on Gildan soft-style tees. 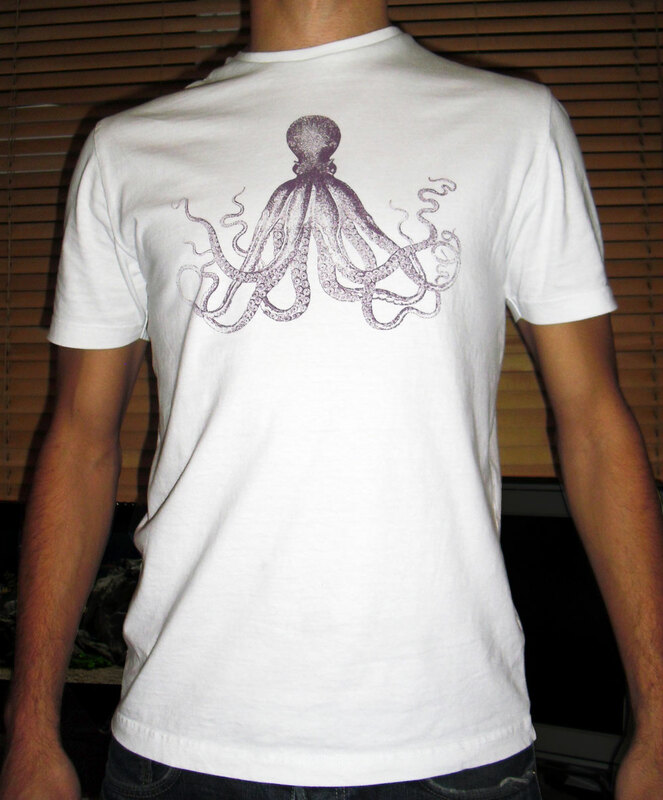 Buy the Octo-tee now for £12.50 + p&p by getting in contact… proper shop facilities coming soon. With Thanks to the Graphics Fairy for the illustration! 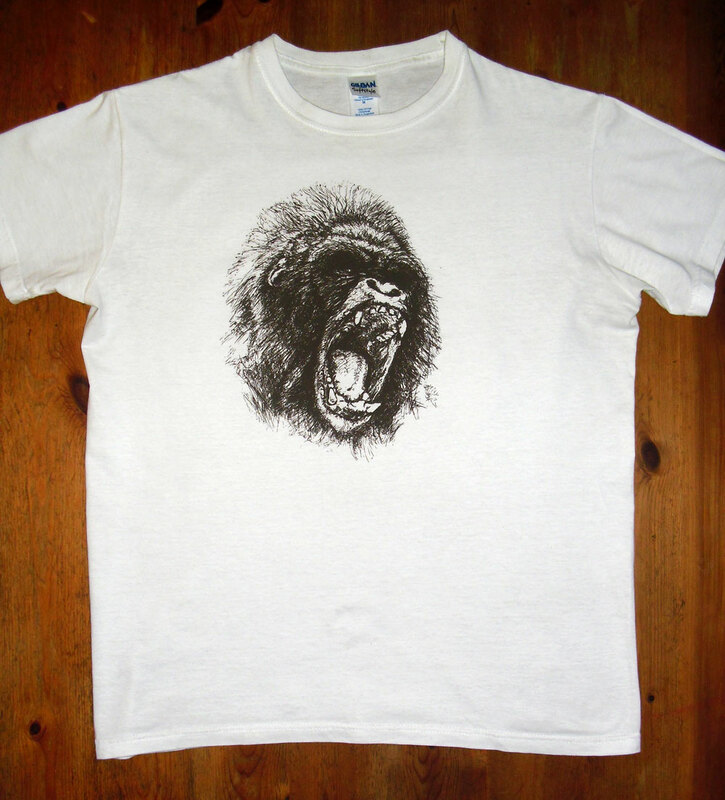 Buy the Gorilla tee now for £12.50 + p&p by getting in contact… proper shop facilities coming soon. With special thanks to Chadlonius for the vector! 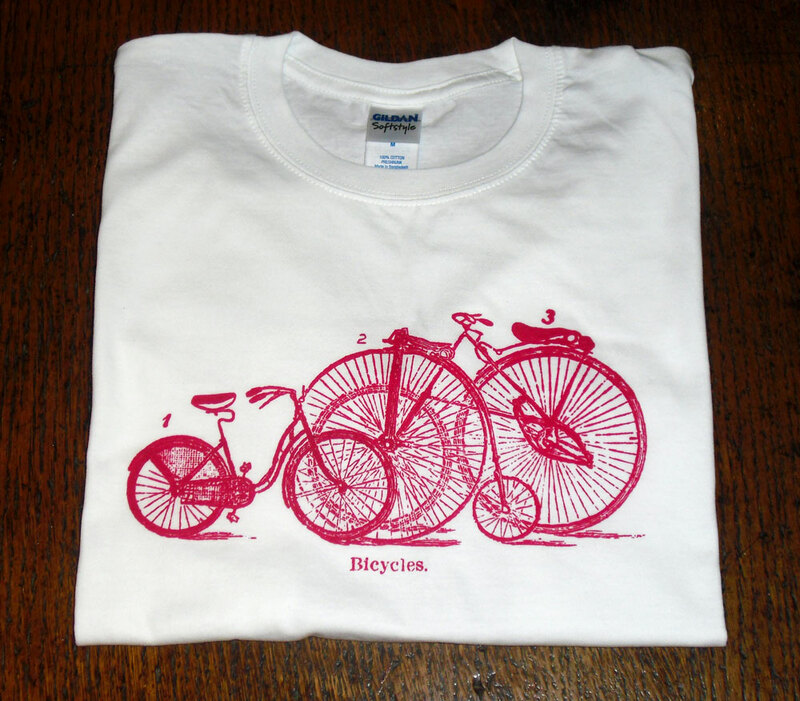 Buy the Bicycles tee now for £12.50 + p&p by getting in contact… proper shop facilities coming soon. Welcome to Bourne Creative - Screen Printing Services. We offer printing and design services for a variety of products such as tee-shirts, sweatshirts, bags, posters, stickers and more. Whether you're in a band or own a business, get in touch for a quote or visit our shop! On the site we'll be posting up all of our latest work, including prints for sale as well as work for clients to give you an idea of what we do!